There are many options for 3D printers. 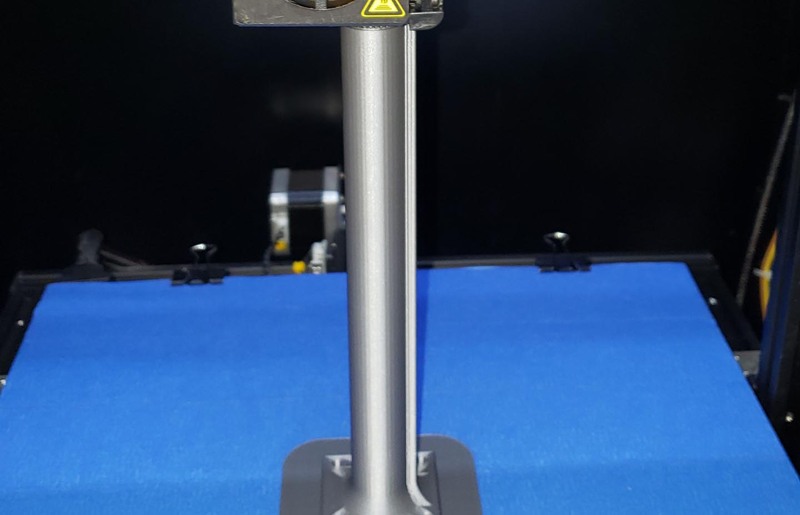 The CR10/CR10s is a “Fused Deposition Modeling (FDM)” printer which is the most common for the consumer market. 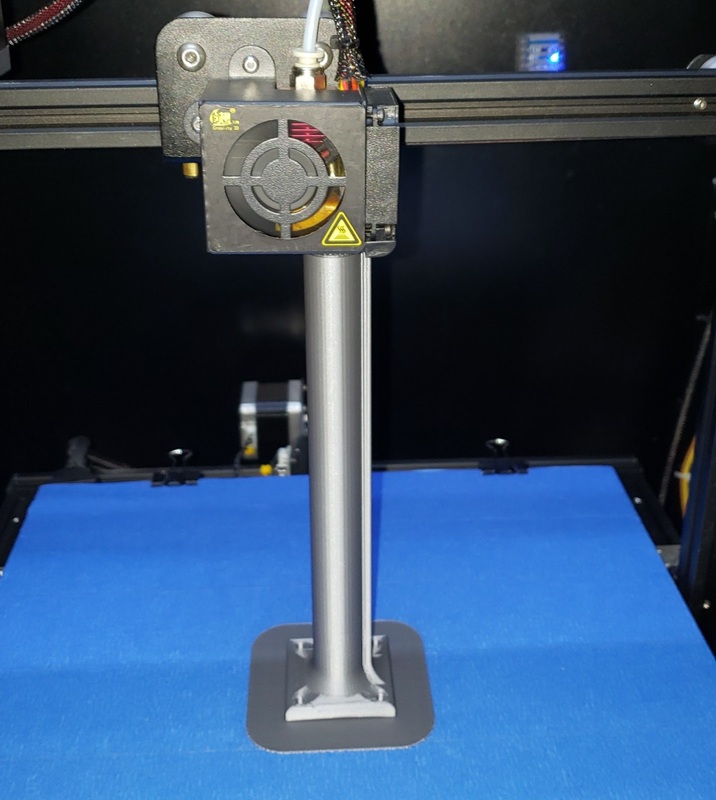 FDM printers all have the same basic functioning mechanics. 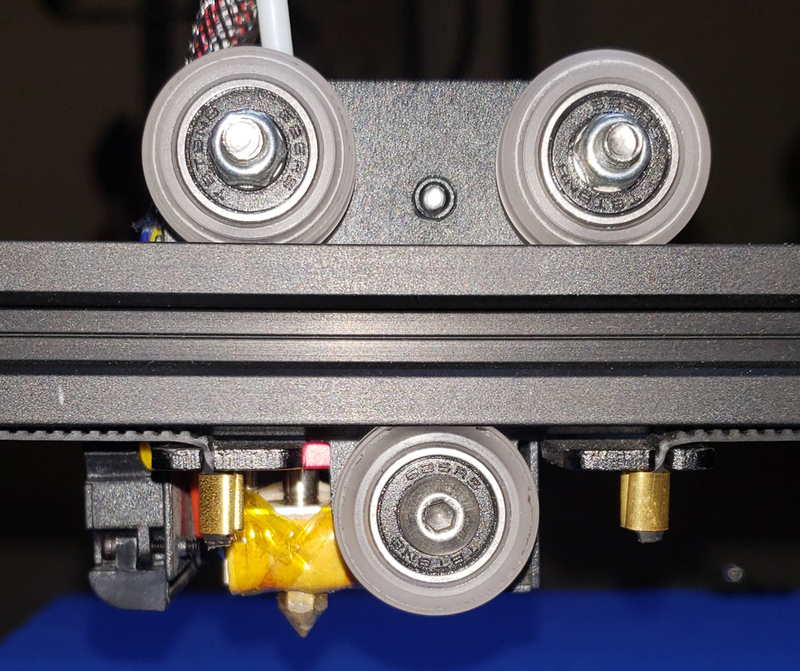 The CR10 uses bearings and wheels to guide the carriages along the different axis as do many FDM 3D printers. 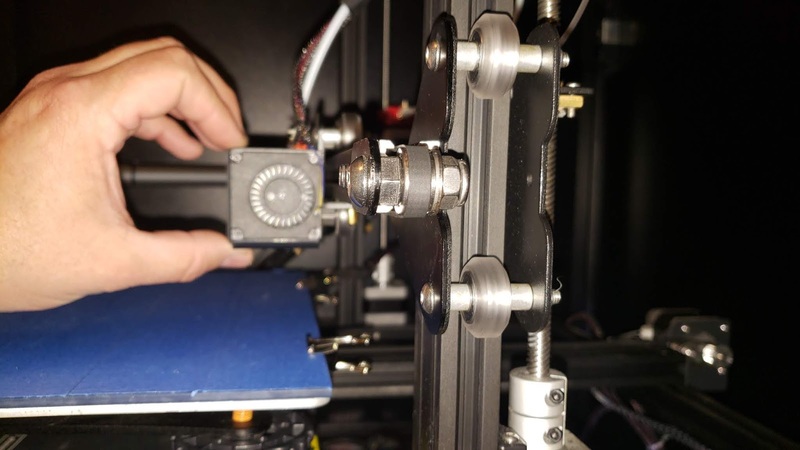 If the mechanics of your printer are not dialed in properly you will experience reduced print quality among other issues. Getting familiar on how to adjust the mechanics of your printer will help you open its full potential and help you keep it that way. It has been my experience working in the technology field for over 2 decades to rule out hardware first when troubleshooting problems. Looking at the whole picture with these adjustments makes it seem complicated but in each step the concept is simple. I recommend if you take on this project you do eliminate distractions, take your time and follow the steps until you are familiar with this. This is a good process to understand and get to know. Some printers do not come set up properly or you may have purchased a DIY kit. Or you are like me and looking to better the print quality of or your printer. Even a perfectly set up printer can work its way out of adjustment over time and wheels will accumulate ware. I have seen many online posts of print quality issues that are a direct result of much-needed hardware adjustments. Even if you are not looking to make upgrades, this information can be very helpful. 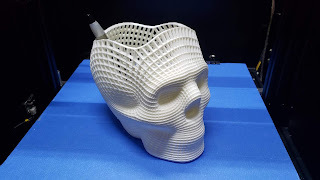 If you plan on putting a lot of time into 3D printing this knowledge will serve you well. 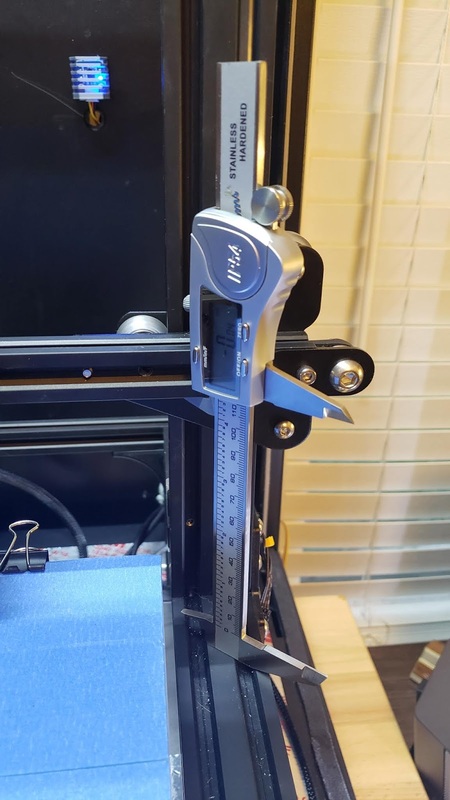 Part 1: Does your printer need adjusting? 1. The bed: It’s easy to check the bed. Gently grab a corner of the bed and try to wiggle it up and down (see below). Do you feel play? The bed should have some slight motion in it but it should not be loose, wiggle or have any play. Check a corner on the front and the back of the bed. Also, with the steppers off (or with the printer off), slide the bed back and forth to feel how the bed moves. Does it travel freely and smooth? If you have “bed wiggle”, or your bed travel seems to be sluggish or in a bind, you likely have an issue with adjustments. 2. 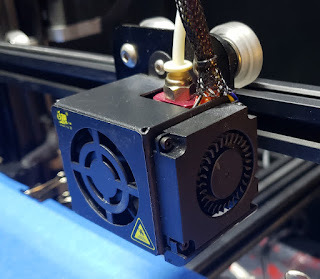 The carriage for the hot end: Gently grab the front of the hot end cage or fan and try to wiggle it up and down (see below). Same as the bed, does it feel like there’s any play? Again there should be some slight motion but you should not feel any wiggle or play. The hot end can be affected by both the x and the z carriers. Also, with the steppers off does the hot end carrier move back and for with ease? 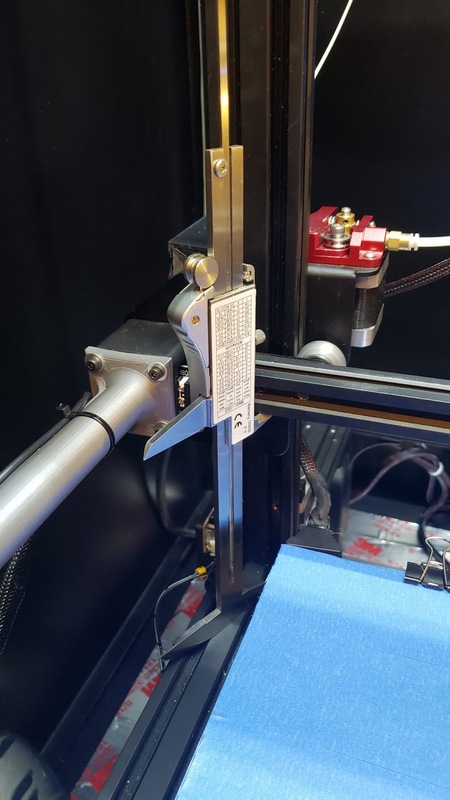 Once again, if you have play or your hot end travel seems to be sluggish or in a bind, you are likely having an issue with adjustments being out of play. Part 2: Understanding how to make adjustments. 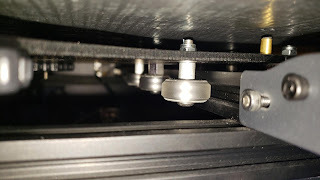 Here are the 2 different types of wheel mounts on the CR10. With the adjustable mount, you can see the hole is not centered. This is there so when you turn the mount it will move the wheel closer or further away from the rail. 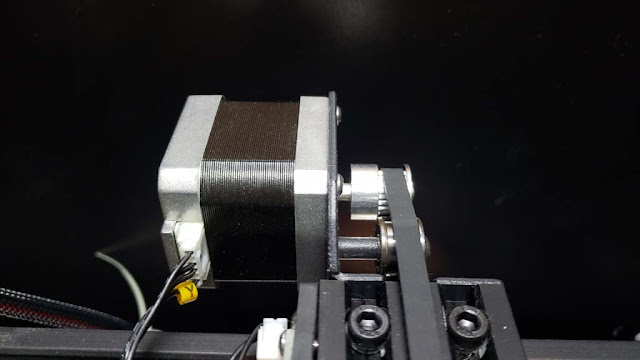 This allows you to adjust the tension the wheel has on the extrusion rail. Too much tension will introduce wear on the wheels and bearings as well as create too much drag on the steppers. Not enough tension creates play, allowing the carriage to wobble. For instance, it is impossible to level a bed that wobbles. 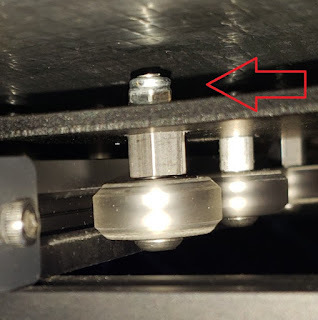 Wobble creates print quality issues on any axis. But there again if a carriage is too tight it can create layer shifts as well as many other issues. One thing I like to do (if I have to make adjustments) is to remove the adjustable mount and mark the low side with a permanent marker. This way I am able to track how much of an adjustment I have made. See the illustration below. 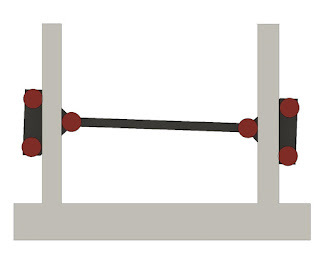 To check the adjustment on each wheel: Roll the wheel by itself and the carriage should move (with the acceptation of the z-axis). If you hold the carriage still you should be able to roll the wheel without much difficulty. I do this for all of the wheels (even the non-adjustable ones) to make sure there is even tension. If you feel good with your adjustments then again go back to the wiggle test. Does it rock, wobble or wiggle? Again, do the travel test. Does it roll freely? If it passes the test, move to the next axis. If you have to make a correction to one wheel, go back and check all the others with that carrier again. Repeat until it is properly adjusted. Important! Do not be confused with tightening the adjuster and tightening the nut that holds the wheels on. When tightening the nut (nut and bolt mounting the wheel) you want it to barely be snug. Over tightening the nut will create too much resistance on the bearings and steppers. This will create its own set of issues. If the nut is not tight enough, the wheel mount will be loose creating wiggle room in the wheel itself. 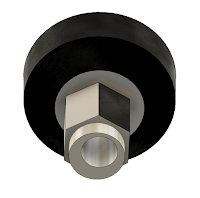 The nut should be just tight enough to prevent any unwanted movement but loose enough to have free movement of the bearings. You should make sure the tension on wheel mounts are right before adjusting the tension on the carriage. See the illustration below. The concept is very similar with the adjusters as it is with the mounting nuts. 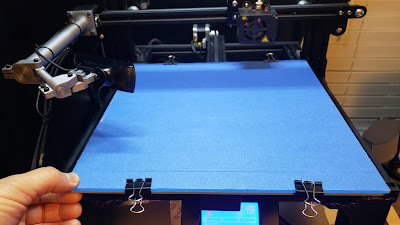 There are 6 rollers that hold the bed on the CR10. 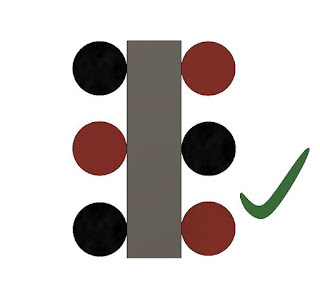 The adjusters are staggered with 2 on one side and one on the other. The other 3 are nonadjustable mounts. Together they pinch the extrusion rail to steady the bed and to allow it to move freely along its axis. You can see the adjusters below. I found it much easier to remove the heated bed before making adjustments. It is important to make adjustments evenly on both sides as to not push the bed to one side or the other. This is why I make the marks on the adjusters. All of the rollers should have very close to the same tension. In the illustration below the red wheels are the adjustable ones. In the image on top, the 2 red wheels on the right are adjusted too far pushing the left side wheels back and creating uneven tension. All of the wheels in the illustration on the bottom have equal tension. Once you feel comfortable with your adjustments, do the wiggle and the travel test again. This is the easiest axis to adjust. But do keep in mind that play in the Z-axis mount can also introduce wiggle in the hot end. The X axis is mounted to the Z axis so they do tend to move together. It is usually easy to see if you have wiggle in the X-axis. The adjuster on the CR10 is the bottom wheel. Again follow the same steps making the adjustments if needed and test afterward. Before you start to make any adjustments to the Z-axis rollers you must first level it with the frame of the printer. 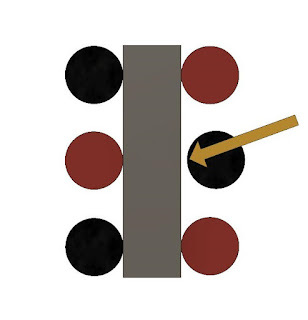 If one side is higher than the other it will create uneven tension on the guide wheels. 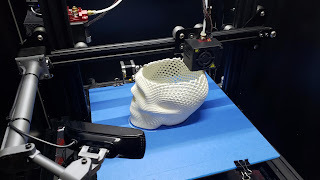 The bed can be leveled to an unlevel Z-axis but the mechanics of the printer will be working against itself. I perform this with a caliper adjusted to the height from the frame. The reading on the caliper is irrelevant (if you do not have calipers you can be creative with something to measure the height with). What matters is that each side is the same height. To do this you first have to disable the steppers (I usually cut the machine off for this adjustment). Turn the threaded rods to move the Z-axis up or down until you get the axis leveled out. I occasionally do this check on my machine, especially when I accidentally knock it off. This adjustment is important. By now you should be getting the hang of this. But the Z-axis can be a little tricky. I found you can tighten the mounts (not the adjusters) a little more than the others. But the same old rules apply with the wheel adjusters. Here you are not able to do the travel test by hand. These are also the more difficult wheels to remove. The Z axis does have a little more tolerance with tension. It only makes slight movements where the other 2 axes are constantly speeding back and forth. 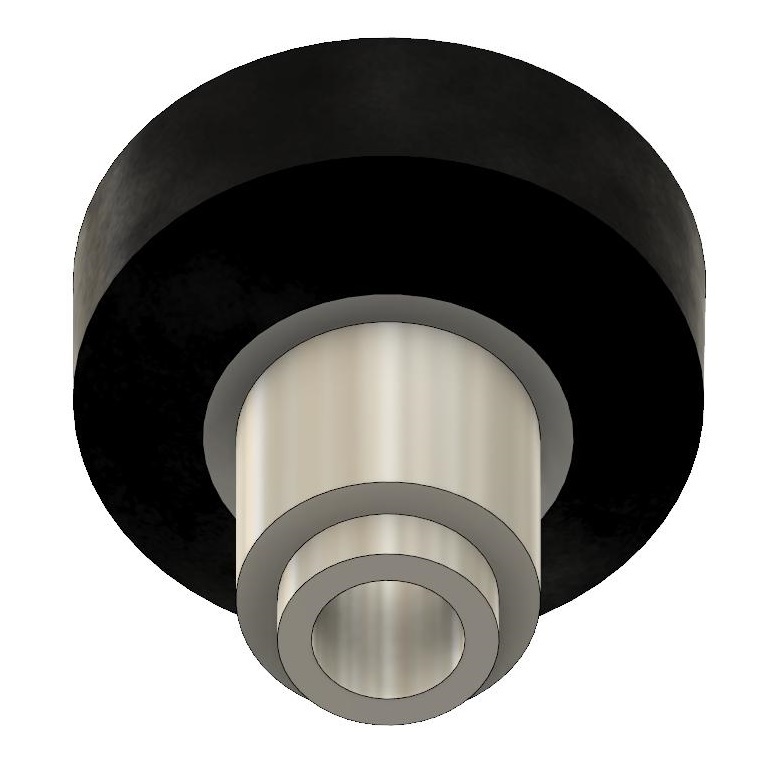 At the same time, you should have equal tension with the wheels and the extrusion rail. 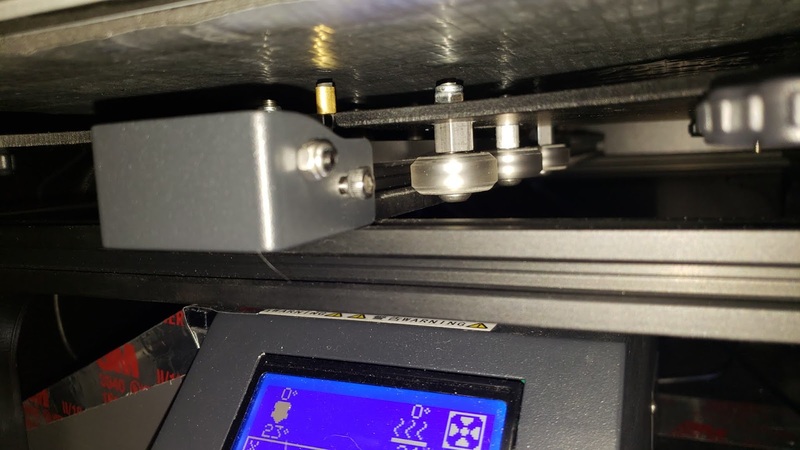 Any play in the axis can cause print quality issues just the same as the X-axis. 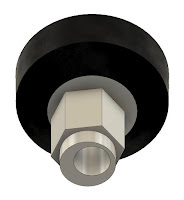 There are 3 wheels per side with the adjusters on the inside (CR10s). I wish you the best of luck in your printing adventures. Here are a few examples of my print quality after wheel upgrades and adjustments.